The International Criminal Court (ICC) has around 90% of its defendants as Africans, quite international indeed. 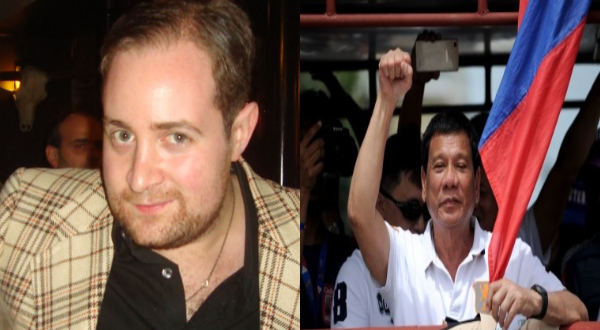 Political analyst Adam Garrie realized the effects of the ICC to the countries of Africa as President Rodrigo Roa Duterte broke free from the ICC. The ICC is clearly unjust, with their double standards that caused the “international aspect” of it to be localized mainly in Africa, despite the existence of other countries of great military power and even greater records of large scale international war crimes. Gambia, South Africa and Burundi already publicized their intentions, in 2016, to withdraw from the ICC, but international pressure got the better of them. The ICC really has this malignant bond with African states, which seems like the only continent to have countries that creates international crimes. But unlike the African states, the Philippines’ contemporary leader showed us the way, he’s shown Africa that the neo-colonial hold that both European countries, organizations and companies have on them can be removed through sheer will and dignity. Despite all controversy and the exaggerations of Duterte’s war against drugs, the said agenda of the Philippine President is an act of martyr bravery, he has eliminated the blight of illegal drugs on the citizen of the Philippines which also eliminated the true human rights violations of extensive drug usage, drug culture, the drug trade and even drug-financed terrorism. Yet rather than an applaud, Duterte has faced judgment and criticism from Western countries, organizations and even the ICC but none of them take advantage of the Duterte, a man that would rip apart the Philippines and build it better than it ever was back then during the country’s Western-puppet era. Yes the president is under investigation of the ICC but they’ve lost the authority to since the Philippines is pulling away from the racist and useless court. On the other hand, saddening as it may be, African states have been facing centuries of exploitation that continues up to today. Yet Duterte’s rejection of the West, of this “colonial mentality” may be the torch that the Africans need in the darkness of this world. Duterte is lighting the path to the betterment of African states, for despite the ICC being noble at cause and principles, the court has “manifested itself as just another tool of neo-colonialism”, as Garrie states, so with the light that our developing country has provided, inevitable decision of African states from pulling out of the said corrupt ICC court is but a matter of time.